Upper Povazie in some sources also referred to as the North Povazie, lies on the north-western Slovakia in the basin of the river Vah. 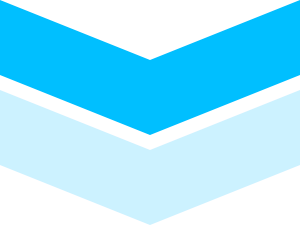 Most of its territory is occupied by districts Bytca, Povazska Bystrica, Zilina and Puchov. The Upper Vah tourist region is mostly mountainous and visitors can find excellent skiing conditions on its mountain slopes. Largest city and a center of the region, also in terms of tourism, the county town of Zilina with a rich history is the center of culture. Marianske square with Renaissance houses is oldest part of the city. 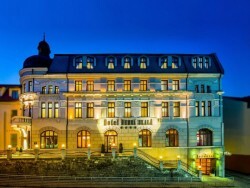 It’s the residence of Považie Gallery of Art and Museum of Povazie. Other historical monuments includes Budatín castle. In the vicinity there can be found the ruins Lietava castle or Strečno Castle. 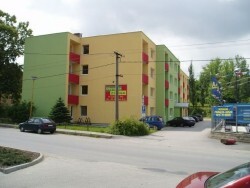 Accommodation capacity for visitors of Zilina is composed mainly by hotels and pensions. Little Fatra with a rich tangle of hiking trails is one of the most visited mountain areas on the Upper Povazie. Lying among the foots of its hills, the attractive Vratna valley offers beautiful natural places and surroundings ideal for relaxing in the mountains throughout the year. In addition to the lovers of summer hiking in the valley, the winter sports enthusiasts will enjoy the slopes of ski resorts. 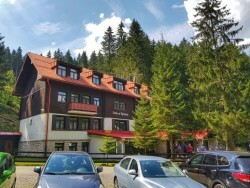 You will find accommodation right in the valley under the slopes, even under Rozsutec hill, but large accommodation capacities has the village Terchová right at the Vratna valley, which belongs among the most popular tourist centres of the region, not only because of the surrounding countryside, but also for events such as Janosik Days. South of Zilina, Súľov Mountains near the village Sulov-Hradna, which is surrounded Sulovske Rockies, forming an impenetrable ring around it, offer unforgettable views. The mountains include the unique Manínska Gorge at the town of Povazska Bystrica. The beautiful Rajecka Valley lies right between the Little Fatra and the Súľov Mountains. 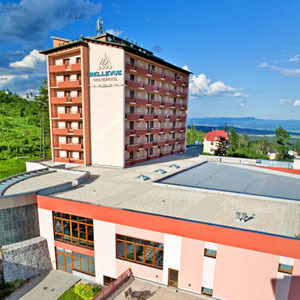 Here you will find a spa town Rajecké Teplice with Health Spa, which is an ideal place where you can spend medical stays, as well as wellness stays. 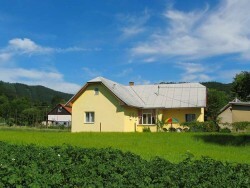 You visit the town of Rajec - former oldest settlement in Rajecká valley. 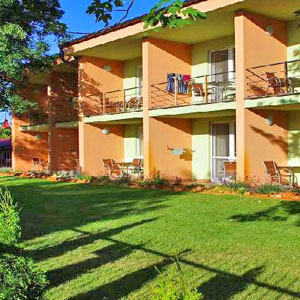 Here the visitors can admire the historic buildings, relax in the thermal swimming pool water or spend their leisure time by golf in the beautiful surroundings near the Rajec. On the western edge of the Upper Považie, there extends the Maple Mountains (Javorníky), stretching along the border with the Czech Republic and in the north extending into the region of Kysuce. 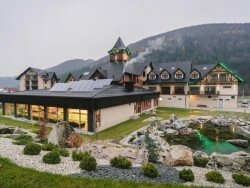 In its southern part there can be found Púchov, next to which, in the mountainous area, the town of Nimnica offers spa services on the banks of the river Vah. 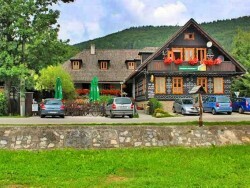 In the southeast foot of Maple Mountains, there are town of Bytča as well as the county town of Žilina. 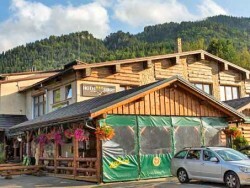 The southern part of the region is occupied by Strážov Mountains, where in a small valley between its slopes there lies the village Čičmany, known for folk architecture and Ski Resort. 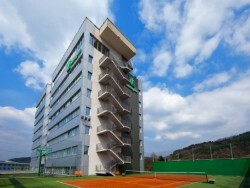 The modern 4-star hotel Holiday Inn Žilina offers accommodation in close distance to the historical centre of the city. 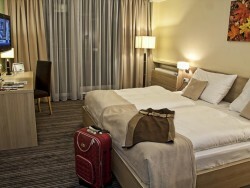 Accommodation based on your selection in 133 modern and elegant rooms. Guests will find large conference premises with capacity up to 700 persons, professional attitude, wide assortment of dishes and beverages in our restaurants and bars that will definitely meet your most demanding expectations. Only the whole property to rent.